Making lifestyle changes is easier said than done. Researchers have been hunting for an effective way to support healthier eating for decades, with only moderate long-term results. UCLA anthropologists and scientists recently stepped into family homes to find out more about how surroundings affect healthy living choices. They found that kitchen design and use has a significant effect on health. Clutter and messiness caused raised stress hormone levels among mothers. Disorganized storage and layouts in kitchens also led to more take-out orders and impulsive food choices. Not surprisingly, the more workspace available in the kitchen, the more likely families are to use it. Smart storage that improves efficiency can help, as can reducing bulk purchases. The American Academy of Pediatrics found that offering healthier, nutrient-rich snack options led to children eating 72% fewer calories. A pantry dedicated to children can lift food preparation tasks off parents’ shoulders while simultaneously reducing the risk of childhood obesity. Under the counter fridges for fresh, wholesome foods are equally useful. The kitchen is central to the amount of time families spend together. Brian Wanslick’s decades of experiments on mindless eating convinced him that banning unhealthy snacks only breeds resentment, but that placing healthy alternatives on shelves that are easier to reach is effective. Those who keep fruit bowls on their kitchen countertops weigh, on average, 13 pounds less. Lighting and colors also affect eating habits. Too bright or dim, and the family is likely to over-eat. There are even colors that improve the waistline: neutral palettes encourage less eating. Kitchen design affects not only your decorative style, but your lifestyle. An inviting, uncluttered and organized space may be all you need to change the way your family eats. A kitchen remodel might help you remodel your family’s eating habits, too. 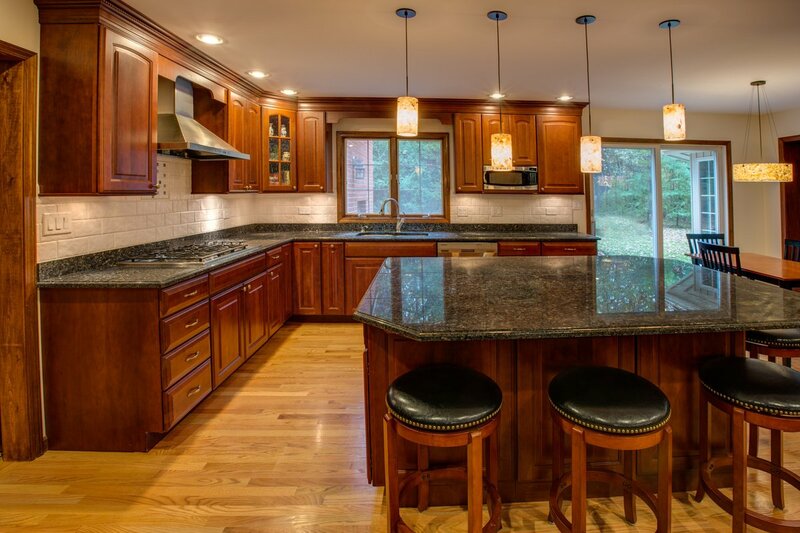 Contact Better Than New Kitchens to discuss transforming your space today.